Summary: Here is the list of top 5 best media player for Windows 10/8/7/Vista for you to play MP4, AVI, MKV, MP3, H265, 4K, 3D and more videos, and DVD/Blu-ray/UHD Blu-ray movies. If you love watching movies and listening music on your Windows computer, the default Windows Media Player definitely cannot fulfill your requirements in many ways. So do you want to find the best the best media player for Windows to get the best audio-visual experience? Then you have come to the right spot. The best media players should deal with a great variety of video and audio formats, even including H265, 4K and 3D videos and DVD/Blu-ray/UHD Blu-ray movies, have a neat and user-friendly interface, play back any videos fluently, contain some customization tools, etc. With so many ways to consider, it would not be an easy job to find out the best media player for Windows. That’s why we made a list of top 5 best media player for Windows 10/8/7/Vista available in this article. Now read on to find the right Windows media player for you. DVDFab Player 5, named as DVDFab Media Player before, is the best media player for Windows that comes with many powerful and advanced features. Apart from playing those general video/audio formats like MP4, AVI, MKV, FLV, MP3, AAC and more, this media player also can play back 3D, H265 and 4K UHD videos seamlessly. It is also a professional DVD/Blu-ray/Ultra HD Blu-ray player that can play any DVDs/Blu-rays/4K Ultra HD Blu-rays discs/folders/ISO files with menu support. As the upgradation of DVDFab Media Player, DVDFab Player 5 comes with an all-new playback engine and completely redesigned user interface, which boosts overall performance on software stability, compatibility with folders/ISO files, playback smoothness, etc. and gives you a more shocking viewing experience. Player 5 offers two playback modes, namely PC mode and TV mode. TV mode is optimized for large screen PC monitors or TVs and is compatible with the remote controls for Windows Media Center, which lets you get a real cinema equivalent entertainment experience when you sit on your couch. There are also many built-in keyboard shortcuts or hotkeys which allow you to control the movies you are playing conveniently if you are accustomed to using keyboard to control your computer. Player 5 can not only output crystal clear image quality (retain HDR 10 for 4K media), but also output lossless high-resolution audios like Dolby Atmos, Dolby TrueHD, DTS-HD Master and more. There are also some small features that offer you more convenience. For example, you can use the thumbnails on the preview window to locate the special scene you like, and you can create your own playlist to play movies in your order. VLC is a free, full-fledged and open source media player that can be used on multiple platforms. And also, unlike other free media player, VLC media player is free from annoying ads and other bundled programs, so it becomes one of the most popular free media players. It can play nearly all formats, including video formats like MPEG-1/2, DivX (1/2/3/4/5/6), MPEG-4 ASP, XviD, 3ivX D4, etc., audio formats like WMA 3, FLAC, ALAC, etc. and other formats like DVD, SVCD / CVD, DVB, OGM and more. It also can be used to stream contents from web. There are some advanced tools to control your playback. You can customize the interface to make it simple or make the buttons or controls you often use on the interface. You can also use the audio and video filters in VLC to tweak the look and sound of your video sources to make them get the best possible performance. PotPlayer is a free media player for Windows that is developed by a South Korean internet company named Kakao and comes with a lot of features for power users. It supports a host of video codecs and also allows users to add whatever codecs they want. PotPlayer has low requirements on the hardware of Windows PCs, and it still can employ hardware acceleration technique to provide the maximum performance. When compared with VLC player, it can better deal with large files. PotPlayer supports various 3D formats, including Side by Side, Top and Bottom, Page Flipping, and therefore allows you to watch your 3D movies with 3D glasses on your 3DTV or PC. There are also extra features for you to preview the scene with snapshots, bookmark your favorite scene or chapter, etc. KMPlayer is another versatile media player that supports multiple platforms, which is available for Windows, Mac, iOS and Android. A wide range of video formats are supported. Except for general formats like MKV, AVI, MPEG4, WMV and more, it also can play back 3D, 4K, and even UHD videos. Same with VLC player, it can stream videos from web. Moreover, it is said that the media player boasts of a cycle 3D mode and VR mode for 360-degree video player. There are advanced playback tools in KMPlayer that let you control your video, and you can configure the audio/video output according to your likings. The downside of KMPlayer is that it contains ads on its interface and it is bundled with extra software. GOM Player, short for Gretech Online Movie Player, is another free media player for Windows that supports most popular video/audio formats. You can use it to play videos like MP4, FLV, MP4, AVI, etc. and 360-degree videos. Sometimes you may encounter that you cannot play a video with GOM player, but when it happens, GOM Player will use the “Codec Finder” feature to help you look for the video codec online. There are many advanced tools in GOM Player, which allow you to capture the video/audio you play, adjust the playback speed, add video effects, change skins and more. It contains some ads and comes with bundled extra software. 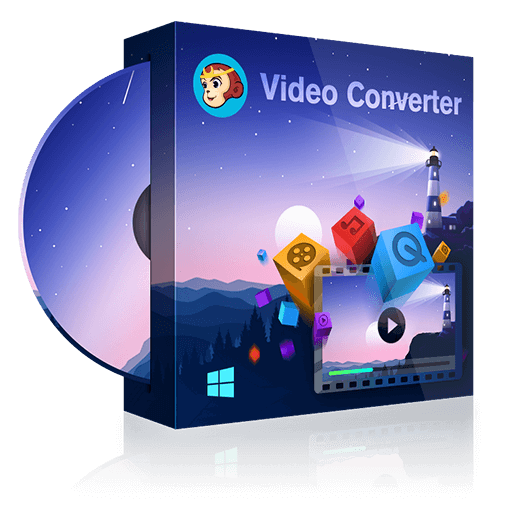 Looking for the best video converter to convert videos into the video/audio format you want? Click the universal video converter to learn more. If you want to burn 4K movies to Blu-rays/4K Ultra HD Blu-rays that can be played on a UHD Blu-ray player, you are right to come here. Here we will give you the detailed steps of burning 4K movies. The best tool to convert UHD to 1080p video should be a robust, well tried and tested tool which can handle such high-quality video and audio and give you the best 1080p output. Here we recommend you two powerful UHD to 1080p video converter and show you how to use them.